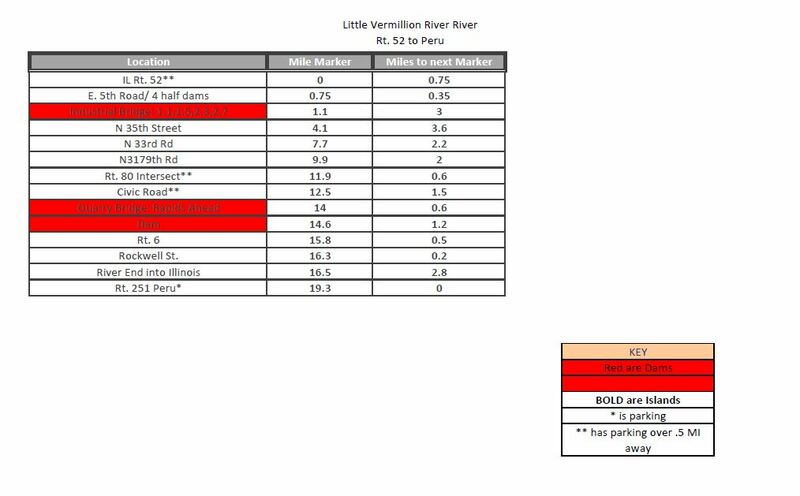 The Little Vermillion river flows 3-10 MPH on average, and features a gradient of 6.7 feet. This contributes to rapids by a rock quarry halfway through. This river is usually low, and does not have any USGS gauge to check. There is a painted gauge on the N3000 Bridge: less than 1 foot is too low to paddle, over 3 means strong rapids. There are no dams on the little Vermillion. There are electrical cattle fences around N3500.